Is Adolf Hitler Alive? Probably YES, New Evidence Says! Adolf Hitler, probably the most famous man ever. Rumors about his disappearance after the Second World War were previously dismissed as conspiracy theories or hearsay. The main problem with these theories was the lack of tangible evidence; especially, the route of escape from his Bunker to the Berlin Airport was shrouded in mystery. Imagine an elderly man in a war-damaged town! He would not have been able to reach the plane through ruins and rubble. Based on existing data, he would have got within 200 yards of safety but that would not have been enough. Thus, the best historians concluded that he had died by suicide in his Bunker. Now, these last 200 yards have been examined and by the discovery of a new secret tunnel, the fate of Mr. Hitler has to be re-evaluated. 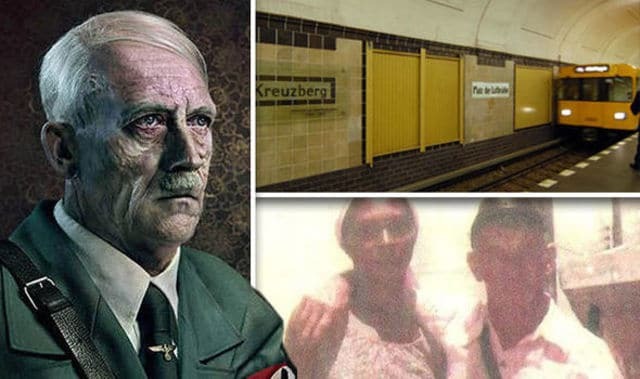 The expert team on Hunting Hitler initially worked out that the Nazi leader could have made it from his bunker to the airport almost entirely underground, except for the final 200 yards. Rumours have long circulated of a hitherto unknown tunnel connecting this final 200 yards from a nearby subway station (once known as U6 and now called Luftbrücke) to the airport. And now, using a state-of-the-art sonar device regularly employed by the US military in their manhunts, the team investigating the mystery of Hitler’s possible evasion have unearthed that tunnel. This provides the “missing link” from what was the U6 subway station to Tempelhof and could have allowed the Führer to escape without being captured above ground by the marauding Soviets. No secret can remain in obscurity. It is crystal clear that Jesus must have felt that the time was ripe to reveal these mysterious occurrences during the commie invasion of Europe in 1945. Still, I must confess that I really do not like the evolutionary references in the quote above. Thus, Mr. Hitler DID have a route of escape. It is practically unthinkable that a man of his powers would not have used it. Thus, it is practically certain that he DID. This means that Mr. Hitler escaped. The other major revelation in Hunting Hitler concerns a jungle compound in the Misiones province of northern Argentina. As they explored its ruins, the team uncovered all manner of Nazi artefacts. Baer, who during his long and distinguished CIA career tracked Saddam Hussein among many others, reflects that the discoveries in Misiones were one of the key factors in making him think that they may not be on such a wild goose chase after all. Question answered! To Argentina! The scholars have also pictorial evidence! Here we can see Adolf Hitler at the age of 95, the route by which he escaped and, most importantly, a photograph depicting Mr. Hitler and Mrs. Braun-Hitler alive in South America in the 1970's. Is he still alive? I would say that it is a very plausible possibility, as German science during the Nazi years was very advanced. It is quite feasible that Nazi scientists would have discovered the secret of youth. After, all many Biblical patriarchs lived up to hundreds of years of age (Genesis 5:27) and only due to genetic entropy have we lost that longevity. It is not very difficult to examine the DNA for these signs of entropy and remove it. In addition, even without scientific intervention, some people have lived up to 122 years! Thus, we can conclude that Mr. Hitler must be alive and well this very moment! 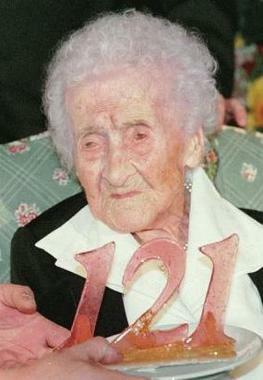 Mrs. Jeanne Calment lived to see her 122nd birthday! You may ask if this is relevant. Why would Jesus be interested in the unfortunate errors of the Nazis and reveal these data now! While I cannot speak on Jesus' behalf, there are some coincidences that are probably not coincidences at all, as God our Lord is Omniscient and Omnipotent and He has designed all the History of the World from the Beginning (Genesis 1:1) and He must have known about the rise of false religions during these last days before Rapture (1 Thessalonians 4:17). Now let us revise some Nazi history. In 1936 the Nazis hosted the Olympic Games. People from all over the world came to participate. 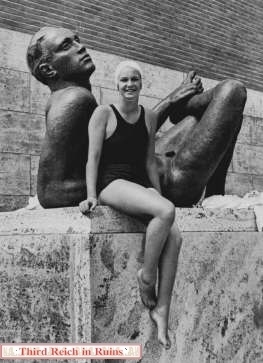 Among the participants was Argentina with 50 men and 1 WOMAN (Jeannette Campbell [the name is remarkably similar to Jeanne Calment] and she won the silver medal in women's 100 m freestyle swimming). This is important. The Argentinian team must have met many German people and interacted with them. This is the picture of Ms. Campbell. Olympics in Nazi Germany in 1936. Argentina sent a woman athlete. Later that year, Pope Frances was born. A few years later, Hitler escaped to Argentina. Only Jesus knows how all these data fit together but they are alarming and not coincidental as there are no coincidences with God. I suggest that we pray on these revelations and thank Jesus for giving us these missing pieces of data. Hitler is 126 now which is quite young compared to Metušélaħ (מְתוּשָׁלַח) who Jesus killed when he was 969 (you already mentioned Genesis 5:27). It's unfortunate foreigners cannot run for president. I am certain president Hitler would solve our Mexican problem with his trademark German efficiency. Undoubtedly, this was also foreseen by Hosea! I am not saying this idea of yours in good, I am only saying that it should receive an unbiased scrutiny. We unraveled this piece of historical knowledge months ago and now it's been confirmed! A top CIA agent Bob Baer has come to the same conclusions as our Creation Science team! A veteran CIA agent claims to have proof Hitler faked his own death in his bunker at the end of the Second World War. The team have used a collection of never-before-seen documents to develop the theory that Hitler did not actually kill himself and instead fled to the Canary Islands. Veteran CIA agent Bob Baer said: "The narrative the government gives us is a lie. if you look at the FBI files it throws open the investigation. When the war came to an end many Nazis made an exodus to South America to begin a new life away from Europe. It is claimed Hitler traveled by U-Boat to Argentina from the Canary Islands to be reunited with his comrades. It is more and more plausible that this man is the offspring of Mr. Hitler. My heart was jumping while reading this! Could it be that Pope Francis isn't the offspring of Hitler, but actually is Hitler himself? He is a paptist and quite old also, isn't he? This is starting to get more and more obvious! Hmm. Well, in some ways Adolf Hitler was a good man. He exterminated non-Christians (Deuteronomy 13:6-10), cripples (Exodus 4:11), Hamites (Genesis 9:25), homers (Leviticus 20:13), and many other sinful people. However, he was ultimately a Cathylick and not a True Christian™. Last edited by Grandma; 01-13-2016 at 09:42 PM. Reason: Granny can't type today for some reason! Given that you're very old too, Grandma, could it be that you used to play with Mr Hitler in the schoolyard, when you were both young? No, I never lived in Germany. However, I did see Mao and Stalin in the schoolyard because they were foreign exchange students. YES! HITLER IS ALIVE! HITLER IS ALIVE! I WILL THROW A PARTY TO CELEBRATE! Isn't it horrible that people would spread such horrid rumours about a man of such great stature.Now our fuhrer and the great 'Trump' card may rise together to rule the world!